Spend 21 fascinating days traversing the central part of South America, from the romantic capital of Argentina, Buenos Aires to the thundering cascade of Iguazu Falls.Dance to the beat of the Rio De Janeiro drum before flying over to the ancient capital of the Inca Empire Cusco, Peru. Marvel at spectacular the archaeological feat that is Machu Picchu before ending your journey with an unforgettable amazon lodge stay. Arrive in Buenos Aires and transfer to hotel. A tour of Buenos Aires serves as a great introduction to this incredible city giving you a taste of its fascinating history, architecture, culture, inhabitants, anecdotes, and secrets. You will explore the busy centre, including the Plaza de Mayo, where the Casa Rosada Presidential Palace is located; the aristocratic North, including Recoleta Cemetery, best-known for holding Eva Peron’s grave; and the working-class South, such as the famous La Boca and San Telmo districts, heartland of the Tango. This evening you will be transported back in time thanks to the La Ventana tango show. Enjoy the dancers, orchestras and local singers, while dining from the impressive menu that offers both local and international cuisine as well as an extensive list of Argentinean wines. At the conclusion of the show a bus will transfer you back to your hotel. This evening you will be transported back in time thanks to the La Ventana tango show. Enjoy the dancers, orchestras and local singers, while dining from the impressive menu that offers both local and international cuisine as well as an extensive list of Argentinean wines. At the conclusion of the show a bus will transfer you back to your hotel. Transfer to the domestic airport for your journey from Buenos Aires.Arrive at Iguasu airport and transfer to your hotel. 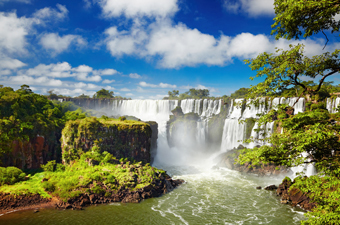 Early morning you will visit Iguazu Falls on the Argentinian side. You will ride the rainforest ecological train and then explore panoramic views of above and below the waterfalls. You will visit the Devils Falls which is said to be one of the most spectacular falls and have the option of taking a boat ride under the falls. National park fees included. After departing from the hotel, the tour makes its way to the bottom of Corcovado Hill, where you will ascend the mountain by train. Climbing 4km through the world’s largest urban national park, the Tijuca Forest, the train arrives at the statue of Christ the Redeemer. After some time with the panoramic views you will continue to the Maracana Stadium, Sambadrome, and the Metropolitan Cathedral, before passing through the bohemian neighbourhood of Lapa and its famous arches en route to Copacabana. You will have a traditional Brazilian BBQ lunch before visiting the famous Sugarloaf. After descending, passengers will return to their hotels. Hotel pick-up between 08h and 9.30. Included: All transport, tickets and entry fees, with exception of entry to Maracana Stadium (currently closed for renovation prior to world cup), lunch (beverages not included).Approximate duration of tour: 8 hours. Free day to relax on Ipanema or Copacabana beach. If you want to be active consider an optional favela tour. Transfer to the airport for your outward flight from Lima.On arrival at Juliaca airport you will be transferred to your hotel in Puno, stopping on the way to take in the pre-Inca burial ground of Sillustani. Here you can wander through the remarkable tombs built from volcanic stone, known as Chulpas which reach heights of up to 12 metres. Overlooking the beautiful lake Umayo, Sillustani is considered to be one of the most important necropolises in the world. Travelling by semi-speed vessel, begin by visiting the floating islands of Uros, where the friendly locals continue to practice their traditional way of life, living by fishing. Situated four kilometres from Puno, the original inhabitants of these floating islands are said to descend from one of the most ancient peoples of the Americas. On your way back to Puno, stop at Taquile Island, a place where time appears to have stood still. Around 350 Quechua-speaking families live here, operating a collective agricultural system dating from the 14th Century and renowned for their textiles – beautifully woven chumpis (belts), chullos (caps), and ojotas (sandals). Includes lunch. Tour duration: 10 hours. Transfer to bus or train station for outward journey from Puno. After breakfast you will be driven across the Altiplano to Cusco. This drive will take you through sleepy Andean villages, past spectacular snow-capped mountains, sheer cliffs and rampaging rivers. Stops along the way include the atmospheric towns of Pucara and Andahuaylillas, and the pre-Inca ruin of Raqchi. Arrive in the famous city of Cusco in the early evening. Includes lunch. Available alternative: Luxury Andean Explorer Train can be booked for an extra charge. Monday-Wednesday-Saturday (November to March) or Monday-Wednesday-Friday-Saturday (April to October). For more information, please ask our sales consultant.Arrive at Cusco and transfer to hotel. 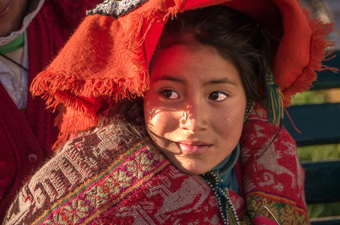 Today, explore the Sacred Valley of the Incas. This fertile river valley was home to many important sites for the Incas, both strategic and religious. The first stop is the village of Pisac, with its famous market and Inca Ruins. There is free time to wander the colourful market stalls before heading uphill to the Pisac, Intihuatana, Q’allaqasa and Kinchiracay ruins. Enjoy a fine buffet lunch in gardens overlooking the Valley. Continue your journey along the River Urubamba, to Ollantaytambo. The town, which is dominated by a giant Inca fortress, is perhaps the best surviving example of Inca town planning and was the scene of a rare Inca victory over the invading Spanish. Transfer to your hotel for the night or should you be returning to Cusco, visit Chinchero en route, an important Inca town with a colonial church and plaza. This is a train ride you will never forget, taking you through the spectacular Andes mountain range to the renowned Inca citadel of Machu Picchu. Upon arrival in Machu Picchu, you will have a guided tour of the ruins and monuments, such as the Main Square, the Circular Tower, the Sacred Solar Clock, the Royal Quarters, the Temple of the Three Windows and the Cemeteries. Includes: Guide and entrance fee. 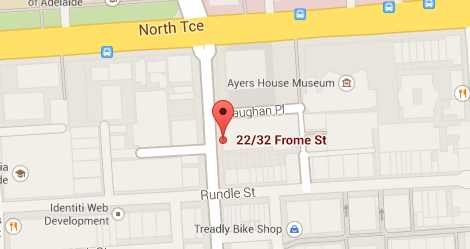 Also includes transfer from hotel to train station. The train ride will be shared with other passangers. Please be aware that your tour of Machu Picchu does not include an entry permit to Huayna Picchu (the iconic hill behind the Machu Picchu ruins). If you want to climb Huayna Picchu then you need to pre-book your permit. Please contact your sales consultant if you would like to do this. Transfer to airport for your outward flight from Cusco.You will be met at Puerto Maldonado Airport to transfer by land and a two and a half hour boat journey to Refugio Amazonas. 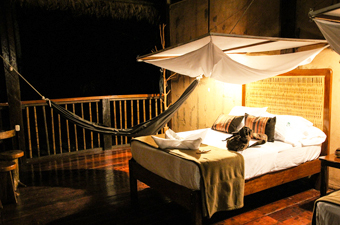 Pass the Infierno Community and arrive into the Tambopata National Reserve, a 1.3 million hectare conservation unit. 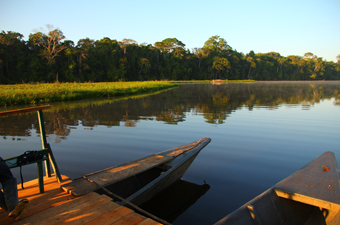 From Refugio, venture out at night, on the search for caiman, spotting the red reflection from their eyes. After breakfast venture out onto the lake by canoe or catamaran, looking for wildlife such as hoatzin, caiman, horned screamers, macaws and rare otters. Back on land, a thirty minute walk from the lodge will take you to the 25 metre scaffolding canopy tower, complete with staircase. 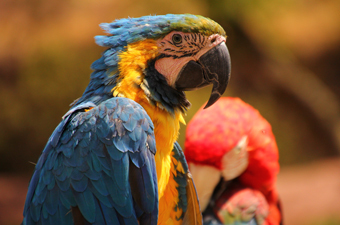 Enjoy excellent views from the tree tops, sighting toucans, macaws and raptors. After lunch you will visit a farm to learn about local agriculture and Amazonian crops before an ethnobotanical tour to learn about medicinal procedures of the region. In the evening, Refugio staff offer lectures covering conservation threats, opportunities and projects in the Tambopata National Reserve. Witness the audio and visual spectacle of a clay lick, watching vibrant coloured macaws and parrots feast on clay. Later, a short hike will bring you to a beautiful brazil nut forest where you can learn about the whole nut process from collection through transportation to drying. In the afternoon, there will be a further clay lick visit, this time to see mammals. Wild rain forest pigs show up in herds of up to twenty to eat clay, alongside deer, guan and parakeets. After dinner you have the option of a night hike when most mammals are active. After breakfast, return to Puerto Maldonado for your departure flight. Depending on airline schedules, this may require dawn departures.Arrive at Lima and transfer to your hotel. Transfer to the airport for your outward flight from Lima.Arrival at Santiago and transfer to your hotel. Travel to the airport for your outward flight from Santiago.